Thanks to @my2k for this art piece! We’ve heard from a number of you that you appreciate our posts breaking down what we know about the various lore drops on Critical Role, and boy howdy did we get one in the most recent episode! Ahead, we’ll detail the new information The Mighty Nein gained through their experiences in Rosohna. The Luxon is responsible for creating the elements that became life on Exandria, scattering itself to bring fire and life to a cold and lonely rock of a planet. The Luxon’s body is held within the Beacons, of which the Dynasty has discovered four. Selected followers of the Luxon go through cycles of rebirth so they can live enough lives to learn the true meaning of why they are on Exandria and to bring the fragments of the Luxon’s puzzle to it when it is reborn, to give it purpose. The Luxon is also the source of a very potent magical force and the beacon is one of many funnels of dunamis power. The Luxon is actually the creator of the elements of Exandria that no one else knows about. In this scenario, there exists the possibility that the pantheon of Prime Deities and Betrayer Gods are aware of the Luxon but have chosen to keep their existence hidden from their followers. The Luxon lied to the drow who settled in Ghor Dranas/Rosohna and is actually something else. That “something else” could be a variety of different things, but without further information, we’ll refrain from speculating further here. Empress Leylas Kryn’s soul has been around for 1200 years, making her the oldest among the drow, if not all people in Exandria. Granted, she hasn’t been in the same body for all of those years- her soul has been reborn many times over, and we don’t know how long she has been in her current form. 1200 years means she was initially born around 364 years Pre-Divergence. We unfortunately don’t know any timescales Pre-Divergence, so while it’s possible she was born in the Age of Arcanum, she definitely lived through at least part of the Calamity. She likely would have seen the destruction of Ghor Dranas and have been part of the effort to rebuild it, and seen some of the corruption of the Chained Oblivion firsthand, if not experienced it herself. At the time of the Divergence, she would have been about halfway through her first lifetime as an elf... Assuming her first lifetime was as a drow elf. Fun fact: If Keyleth lives out her entire projected lifespan, she’ll live longer in one body than Leylas has in multiple bodies (so far)! Potentially second oldest among the Rosohna elite is Skysybil Abrianna Mirimm, currently in the form of a very elderly goblin. She keeps the history, and is likely considered an umavi like Leylas. Considering how elderly her current form is, she is probably due for a rebirth soon. The three ruling dens (assuming Essek wasn’t exaggerating to make himself look cooler) of the Dynasty are Kryn, Olios, and Thelyss. Each member of a den is not necessarily related to each other at all, though they might be. If their soul is that of a reborn person, they are returned to their den around adolescence when they begin to recall their past lives. Lady Zethriss called the other leaders of her den “my sisters,” though we don’t know if those are her sisters that were born in this lifetime or a previous one or if it was just a turn of phrase to describe other members of her den. On the other hand, if a person is newly consecuted-- like Essek-- one of the dens chooses to accept them. Thanks to @Ashanimus for this art piece! Spend years serving the Dynasty and its interests and have faith in the Luxon OR be a prodigy of dunamancy (apparently). No special skills in dunamancy? You serve the Luxon, but don’t do enough that your Extra Faith gets noticed by the ruling dens in the Dynasty? You’re not getting consecuted, which means you’re not getting reborn. Become soul-bound to the Luxon through consecution. Not soul-bound through consecution? You’re not getting reborn. Die within a certain range of a beacon. Consecuted, but die outside of the range of a beacon? You’re not getting reborn. When a baby is born within range of a beacon, that person’s soul will transfer to that baby. When the baby becomes an adolescent, they will begin to recall memories of their past life, a process called anamnesis. That baby doesn’t make it to adolescence and dies outside the range of a beacon? Your soul cannot be reborn. That baby doesn’t make it to adolescence and dies within range of a beacon? Unclear. One of the people in the Dynasty will find that adolescent and bring them to Rosohna to be reunited with their den. No one from the Dynasty finds that adolescent? Unclear. The adolescent is found, but doesn’t make it to Xhorhas to unite with their den? Unclear. The adolescent will go through guided meditation to unlock their past. Congratulations, you’ve been reborn! Enjoy your second life! What? You want to be born AGAIN? Well, you’ll need to die within range of a beacon again. When a baby is born within range of a beacon, your soul will be transferred to that child. As a few astute critters have figured out, way back in episode 2-09 the Zadash town crier warned citizens that children were being stolen from Nogvurot in the night. Caleb later read that these type of kidnappings have increased in the most recent generation. We don’t know exactly how long the Cerberus Assembly has had the beacons in their grasp, but this is potentially a clue as to where the missing beacon has been hidden, or if there is an undiscovered beacon there. It certainly gives new context to the Xhorhasians “stealing” children from their Imperial families, if those children were reborn consecuted individuals. Thanks to@SonOfJoxer for this art piece! Built on the remains of the Betrayer Gods’ home base during the Calamity, Rosohna is a sprawling city both above and below ground. Sectioned off similarly to Zadash or Emon, there are districts dedicated to learning, industry, residential districts that are primarily drow or a larger mix of people, etc. The sky is blocked for a mile up and cast to look like perpetual night time so the drow who live there have an easier time going about their business. Beyond all that lies the Ghostlands, land that was part of Ghor Dranas that hasn’t technically been incorporated into Rosohna. It’s unlit and bears strong scars from the Calamity. People are welcome to go squat and make their home out there, but there’s no protection from whatever lurks beyond the boundaries of the city. Assuming Leylas is not lying, The Empire Shot First when it comes to the longstanding battle between the Dynasty and the Empire. She believes that it’s only fair to dish out in equal measure to what the Dynasty has taken in terms of bloodshed and loss. At this point, it wouldn’t really matter if King Bertrand Dwendal walked into Rosohna with the remaining stolen beacon- she’s not stopping the war until the ledgers are balanced. And they really do deal misery in kind when dealing with the Empire: Yeza attested first hand at how terribly he was treated by them when they attacked and brought him to Xhorhas, and his cell conditions were inhumane. Leylas made a harsh but solid point about the residents of the Empire: they, by and large, believe what they’ve been fed about the Dynasty. Both Pumat Sol and Yeza referred to the Empire keeping them “safe.” Yeza, at least, has seen what the Dynasty soldiers are capable of for himself. Pumat said, “We got the possible encroaching of foreign powers always looking to peek over the mountain range and try and steal some of our hard-earned materials.” From what Leylas detailed, it doesn’t sound like hard-earned materials are really what the Dynasty’s after. In comparing what the Nein heard about Rosohna and the Dynasty before to what they experience of it so far, they’ve found that, while some of what they heard is true, it was often painted in the worst possible light by the books and people in the Empire. Empire: Xhorhas is a torturous society of bloodshed and beasts. Dynasty: People die in the wastes fighting creatures and the Righteous Brand. The general population is a mixture of goblinoids, drow elves, ogres, and orcs, with a few tieflings here and there. Empire: Xhorhas is a terrible place of perpetual inner turmoil, and vying for the next position of power. Dynasty: Has a pretty clearly defined power structure that remains fairly stable through the years thanks to rebirth. Leylas has been leader there since its inception. 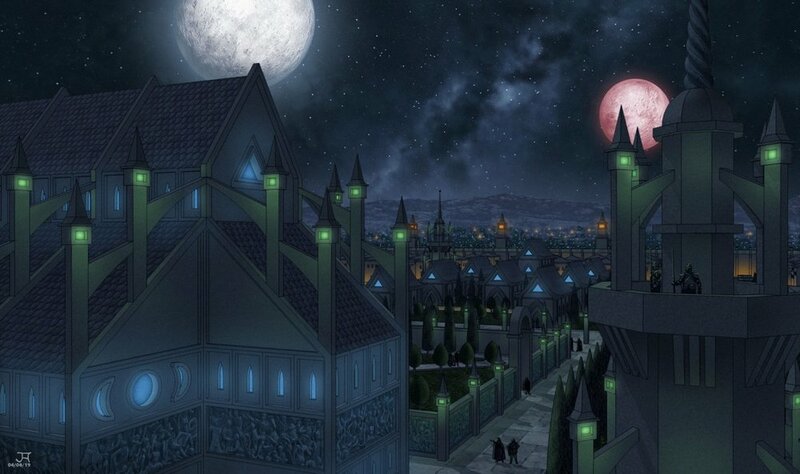 Empire: Children are being stolen in the night from homesteads close to the border, especially Nogvurot. Empire: If someone from the Dynasty says they’re just looking for an artifact, don’t believe them. They only have a desire to conquer and kill. Dynasty: No, they really do want that artifact back so they can continue their religious practices and cycle of rebirth (but also want retribution for years of bloodshed). That said, Leylas asked the Nein to imagine a world where everyone worshipped the Luxon, but that doesn’t seem to be her short term goal. Empire: Assassins sent by the Kryn dynasty attempted to steal something that should not fall into their hands. Dynasty: Trent, buddy, the Cerberus Assembly stole that beacon from the Dynasty and you know that. Empire: The Kryn Dynasty refer to it as "The Luxon" and seek to bring all under its burning banner. Dynasty: “Burning banner” is maybe the least kind way to paint a god that supposedly represents light and life renewal. Empire: They cast the skies in eternal midnight that spreads with their dominion. 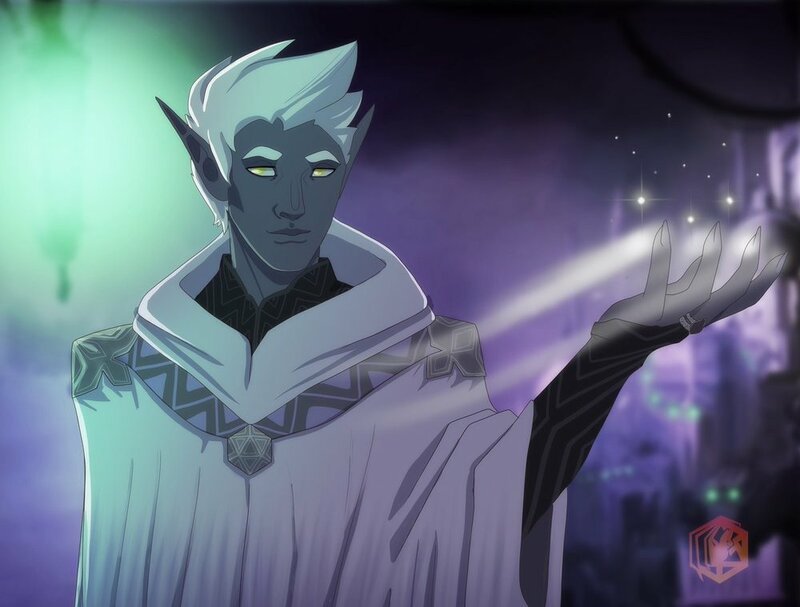 Dynasty: So far has only done that to Rosohna and the Ashguard Garrison, and only because the drow don’t function as well in sunlight. Empire: They've begun taking the ravenous hordes of beast-men and terrors of the Xhorhasian wastes, and indoctrinate them under this new false god. Dynasty: As we saw with Gluzzo, the Dynasty has been encouraging non-drow members of the society to worship the Luxon. Ravenous hordes of beast-men, though, is a pretty poor depiction of a city like Asarius with residents like the mild-mannered Umadon. “False god” is also an interesting descriptor from a government who would call half the pantheon of Prime Deities false gods, including Sarenrae and Melora. A running theme in this particular campaign seems to be shades of gray: neither side in this war seems to be wholly evil or wholly good. The Empire stole religious artifacts with incredible power from the Dynasty, but it (probably) wasn’t all of the Empire, it was the Cerberus Assembly. At the same time, the Empire’s citizens follow the lead of their government and are fairly xenophobic. The Dynasty seems to be more accepting (of anyone that’s not of the “fairer” races), but reserve the full benefits of their religious practices for the elite few, and seem perfectly happy to kill potential innocents alongside the soldiers responsible for killing their people. They also definitely treat prisoners as badly or worse than the Empire does. Matt mentioned during Talks this week that the Mighty Nein were starting to ask the right questions and figure out things on a macro scale. The answers to these questions might help illuminate some of the darker grays or cast the lighter ones into deeper shadow.